WHAT good does this ascetic way do for the world? “The monk purifies himself, but he also purifies his surroundings! Because when God’s grace ‘enters’ and ‘settles’ in a person, when it fills a man’s heart with the love of Christ, this love brims over and onto others. With this holy ascesis, an ascetic changes his surroundings and builds around himself a whole world with love, and with the sanctification which he acquires through this ascesis, he spreads out over the whole world! That is something which we need in today’s world, and always, so that the whole world will not fall into sin and idolatry! That is, worship of their passions, and of material things generally, particularly of corruption and of an obsession with the flesh. There is an immediate spiritual need, that the world should worship the living God Who brings the Gospel to the world, just as he brought the Gospel to the prophet Elijah and to John the Baptist. Which is to say, that is how a man can sanctify“! 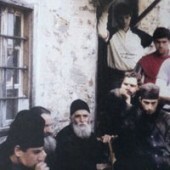 While there has never been a specifically Arabic-speaking monastery or skete on Mount Athos, there have been many Arabic-speaking monks who have gone to the Holy Mountain to seek their salvation. This is evidenced by, for example, the Arabic signature on the 14th-century “Declaration of the Holy Mountain in Defense of the Holy Hesychasts“. In our own time, Isaac the Athonite travelled from his native Lebanon to the Holy Mountain, where he became a disciple of the Elder Paissios. 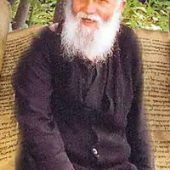 The following article, which is translated was written in Arabic by Archimandrite Isaac’s brother Anthony and annotated by Father Ephrem [Kyriakos], abbot of the monastery of Saint Michael in Baskinta. The translation here, however, is from the French translation of that document by “La Rédaction”, published in Le Bon Pasteur, the bulletin of l’Association des Chretiens Orthodoxes d’Antioche et de leurs Amis, no. 4, March-June 2006.
a Lebanese village called Nabay in the region of North Metn, dependant on the Orthodox Archdiocese of Mount Lebanon. He was given the name Fares. the parish cantor, love for Christ and faithfulness to the Tradition of the Church. From his youth he was attracted to solitude and prayer. It would often happen that his parents would lose track of him until they would eventually find him praying in the fields surrounding his village, not far from the house of his birth. He was already finding all his happiness in nearness to God and His Church. One day when he was still fairly young he left the family home to join the monastery of the Prophet Elias in Shwayya, in the region of North Metn, but his father set out to go find him. At that time they said, perhaps to console him, that it was not the Tradition of monasteries to accept the ‘eldest’ son of a family as a monk since he is the family’s support. Fares agreed and returned home. He did his primary studies at the school of his village, Nabay, then he left school to work as an apprentice carpenter. At the end of his apprenticeship, he went to practice his trade in the “carpenters’ souk” in Beirut. It is there that every evening, at the end of the work day, he took courses in Byzantine chant in the Ashrafiyya district of Beirut at the school of Mitri el-Murr, Protopsaltes of the Church of Antioch. “This savings account has been opened in your name. When it matures, I would like for you to withdraw this money and distribute it equally among all the members of the family. As for me, I don’t need anything because I am going to the monastery“. “What can I offer you in this world so that you don’t become a monk“? “Even if you give me this world as an inheretence, my eyes will not covet it! My life is not here, but in the monastery“. 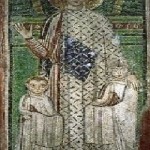 Nemr, his father, tried hard to dissuade him from following the path of monasticism by putting preassure on the other members of the family, but it was in vain. The same day, Fares took his bag and headed with his brother Anthony towards the monastery of the Dormition of the Mother of God in Bkeftin, in the region of Koura, a place he had never seen. He only had its adress and the name of its higumen, Archimandrite Yuhanna [Mansour], the future Metropolitan of Lattakieh in Syria, who had had his formation in the bosom of the Orthodox Youth Movement in the city whose bishop he would later be. Arriving at the place, Fares got out of the taxi and got down on his knees, facing the monastery and, lifting up his arms, he recited a prayer then crossed himself. While getting up, he said audibly, “I give thanks to the Lord for having now granted me my desire“. Archimandrite Yuhanna was there at the enterance to the monastery to welcome them. The monastery was largely in ruins, most of its rooms were in a state of delapidation and almost uninhabitable. A single monk lived there besides the higumen. The sun was setting when Anthony went back, leaving his older brother at the monastery. At the family home, everyone was eagerly waiting for him. 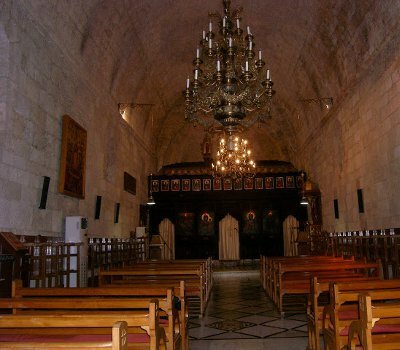 To the monastery of Bkeftin in Koura,” he responded, “but I assure you right away that, given the monastery’s state of ruin, and given that Fares last worked at the Phonecia Hotel in Beirut, he won’t last two or three days before you see him coming back to the house“. His father looked squarely at him and said, “No matter what difficulties he will encounter, your brother will not come back again“. The liveliness of his spirit and the zeal that Fares showed in his studies certainly encouraged the hegumen Yuhanna to authorize him to expand his studies, which he did by enrolling at the school attached to the Patriarchal Monastery of the Dormition of the Mother of God at Balamand in the region of Koura, North Lebanon. He thus found himself under the authority of † Ignatius [Hazim, the current Patriarch of the Orthodox Church of Antioch and all the Orient] who was at that time bishop and superior of the monastery. 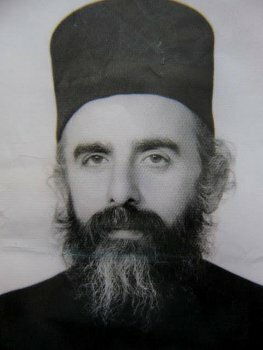 He was ordained deacon with the name Phillip at the monastery dedicated to the Holy Great-martyr Jacob the Persian at Deddeh in Koura in 1963, by the laying on of the hands of † Elias [Kourban], metropolitan of the diocese of Tripoli and Koura, under whom was the monastery of Bkeftin to which he was attached. He was noticed throughout that period for his attentiveness at prayer, his carrying out what he was entrusted to do in peace and with much zeal, and his obedience to his superiors. Providence, as usual, used local circumstances and caused him to leave the school of Balamand to head to Patmos in Greece in 1968, where he received the diploma sanctioning the end of his secondary studies. He then persued his desire to deepen his knowledge of scripture by becoming a student at the faculty of theology at Thessolonica, where he served as a deacon at the Cathedral of Saint Dimitrios, patron of the city. It should be noted that he was known for having a very beautiful voice, which attracted many of the faithful to hear the Antiochian deacon chant and say the litanies in Arabic and Greek. But the most important event for him during this time was that he became acquainted with the Holy Mountain of Athos and with the monastic life that was cultivated in that garden of the Mother of God. 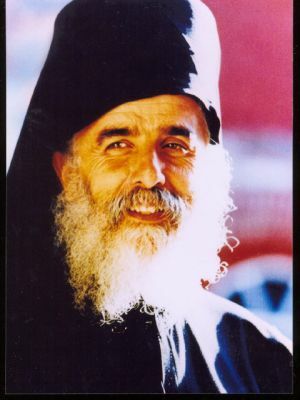 There in particular he met the one who would become his spiritual father, the Elder Paissios [† June 12, 1994]. On his return to Lebanon, he was ordained as a priest at the Patriarchal Monastery of the Dormition of the Mother of God at Balamand by the laying on of hands of the patriarch Elias IV [Mouawad], with the name Philippos. He then lived in the period between 1973 and 1975 in the little monastery dedicated to the memory of the Holy Great-martyr George the Victory-bearer, a dependency of the Monastery of the Mother of God at Hamatoura, in the region of Zgharta in North Lebanon, a metochion of the Archdiocese of Mount Lebanon on the territory of the Archdiocese of Tripoli and Koura. Father Philippos took to his assignment at the monastery of Saint George with much enthusiasm. He immediately put himself to work restoring the monastery’s church and the monks’ cells which circled it. He also cared for the neglected fields, re-planting olive trees and grapevines. 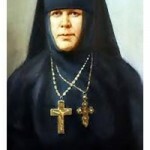 Father’s personality and the work that he did began to bear fruit and the monastery little by little became a well-known place of spiritual renewal that attracted more and more souls to the Lord. 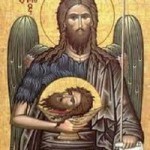 It is worth noting that Father Phillipos served during his stay in that monastery the parish dedicated to the Holy Archangel Michael in the village near Ras Kifa. But the Grace of God had forseen a different destiny for him. Thus, under pressure from the war in Lebanon, he had to leave his monastery, located as tradition demands on a mountaintop, which had become a valuable military position, and to seek refuge once more in Thessolonica where he was raised to the rank of Archimandrite in 1976. He exercised his priesthood in the city itself, at the church of Saint Barbara and he had charge of the theology students from the Patriarchal Monastery of the Dormition of the Mother of God at Balamand for the faculty at Thessalonica. In 1978, he obtained permission from † George [Khodr] of Mount Lebanon, upon whom he still depended, to join the monastic life on Mount Athos. 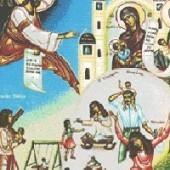 He moved to the Monastery of Stavronikita and received the name of his patron saint, Isaac the Syrian. 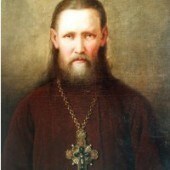 He could thus follow more closely the teachings of his spiritual father, the elder Paissios, who lived in the hermitage dedicated to the Venerable Cross not far from the monastery. 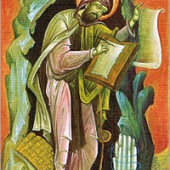 Father Isaac would speak of his encounter with Saint Isaac in the introduction to his Nuskiyyat, his translation from Greek into Arabic of the Ascetic Discourses and Letters of Saint Isaac the Syrian. He recounted to us that a venerable monk of Mount Athos said to him, when he still knew very little of the saint, “Have you come here from a land that has produced so many saints like the virtuous Isaac the Syrian in order to learn the fundamentals of the monastic life“? Father responded, “Yes, holy father, for the experience of our fathers has been transmitted here and I have come to recover it in this place“. One year after arriving at the monastery of Stavronikita, he retired to what would become his refuge, the hermitage of the Resurrection which he himself restored in the region of Kebssala, not far from Karyes, the capital of the Holy Mountain. He lived there alone for four years, a life of hard asceticism and struggle. He was confronted with many temptations and trials that sought to make him leave his solitude, until one day when, overwhelmed from the tourment of his thoughts, his fatigue, and his sufferings, he discovered a small grave while he was walking nowhere in particular. He stopped in front of it and prayed fervently, calling up within himself the memory of death. Then he said with a resolute voice, “Here I may die“. From that moment, the thoughts which were tormenting him completely disappeared. This memory of death never left him again, since according to the monastic tradition, he dug a grave of his own size with his own hands in the garden of his hermitage. He censed this grave every day until his body was laid to rest there after his falling asleep in the Lord Thursday, July 16, 1998. He remained on Mount Athos from 1978 until 1998, the year of his repose, and was known for his asceticism and spiritual combat. 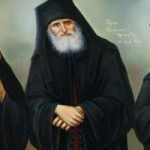 He became, by the Grace of God, a renowned spiritual father on Mount Athos and in Greece, demanding of himself and a fervent promoter of the assiduous practice of the sacrament of confession. In his lifetime, he also became a living bridge between the Church of Antioch and the Holy Mountain. 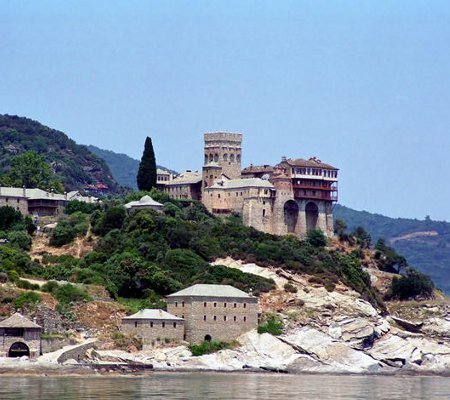 He often said, “I represent Antioch on Mount Athos“, and he was proud of it. Lebanese, but also arabic-speaking Christians of the patriarchates of Antioch, Jerusalem, and Alexandria, as well as others who came from the New World came to receive his blessing and to ask his advice. He also made a number of short trips to his country of origin, Lebanon, as well as Syria, Jordan, and Egypt. May his prayers accompany us, amen.